Buyer’s Market or Not, It’s Still All about YOU! Ears were attuned to some of the nation’s commentators might have heard that last year’s gradual slowdown in residential sales might signal a dawning “buyer’s market.” That may be true or not, but as for its impact on your own home-buying plans, there are a couple of realities to bear in mind. First is that any shift from seller’s to buyer’s market is at best barely discernable. Its basis would be determined by national averages, where a slowdown in residential closings is usually taken to mean that sellers are having a hard time finding customers. That wouldn’t fully take into account the effect that tight inventories might have. 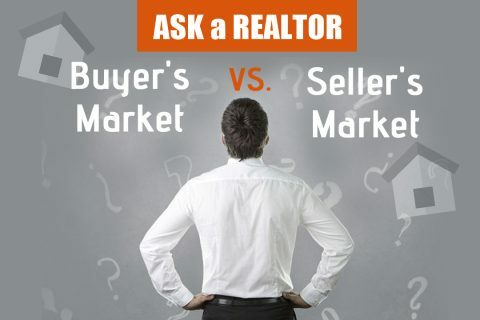 When fewer sellers are willing to put their own homes on the market for whatever reason, the result on bottom line sales volume is the same as when buyers think homes are overpriced. When there simply aren’t enough properties available for any given price range, the number of closings falls. The age-old truism holds the answer. When you can afford to buy, that’s usually the right time to buy—or at least to start looking at the offerings that fit your budget. When you find the property that fits your needs, waiting for more of a buyer’s market could mean your best long-term interests aren’t being served. Buying or selling winds up being first and foremost all about you—your current and future plans, prospects and resources.